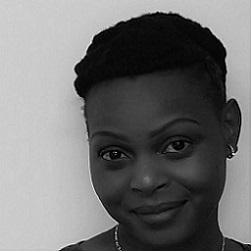 Patience Manjengwa-Hungwe joined HE2RO in March 2015 as a Researcher in Epidemiology. She graduated as a Field Epidemiologist from the South African Field Epidemiology Training Programme (SAFETP) in December 2015. She holds a BSc Hons in Community and Health Psychology from UNISA and a Master’s in Public Health from University of Pretoria. Prior to joining HE2RO, Patience worked for the South African National AIDS Council Trust (SANAC) in the National Strategic Plan for HIV, TB and STIs (NSP) implementation unit. She was involved in large database analysis and offered research technical assistance. She conducted outbreak investigations and TB surveillance system evaluation at the National Institutes of Communicable Diseases (NICD). Patience also worked for the Wits Human Research Ethics Committee and managed research projects for a syndicate of Wits Health Consortium. Currently, Patience is conducting research on describing the care cascade for HIV associated tuberculosis.